You’re hungry? 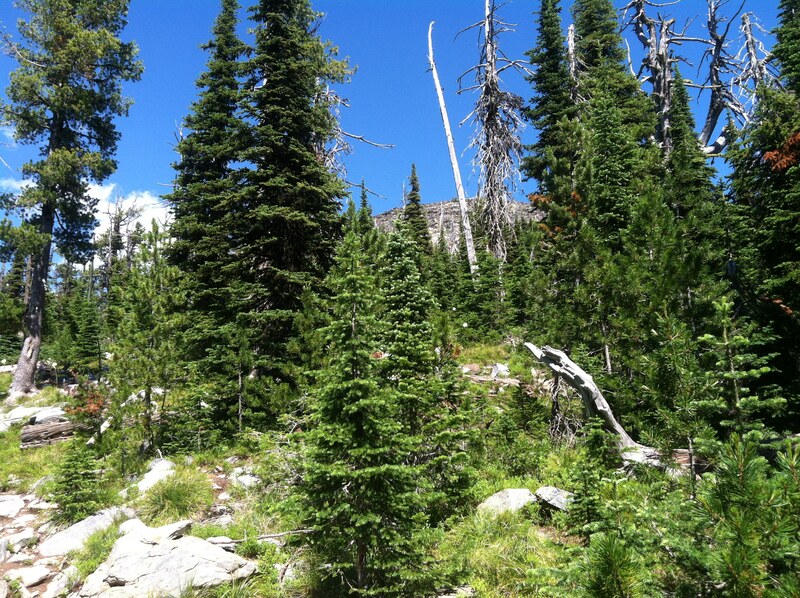 Let me give you a slice of Montana summer. Yesterday marked a milestone. 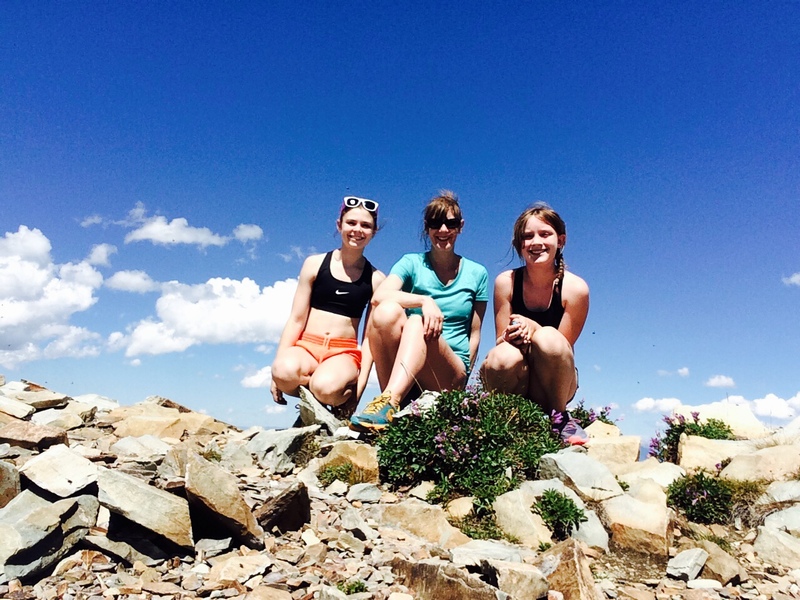 I have always wanted to hike Sleeping Woman Peak with my children but due to the technical difficulty of the terrain the wait lasted 11 years before I felt they were physically capable of achieving the task. Getting there: Not for wimpy cars. Nearly 10 miles on a Forest Service road with overgrown bushes and deep ruts that send heads into the car roof. I am the last one to tell people not to go for it, but these guys: I passed two SUVs on the way up, one with new car license plates. 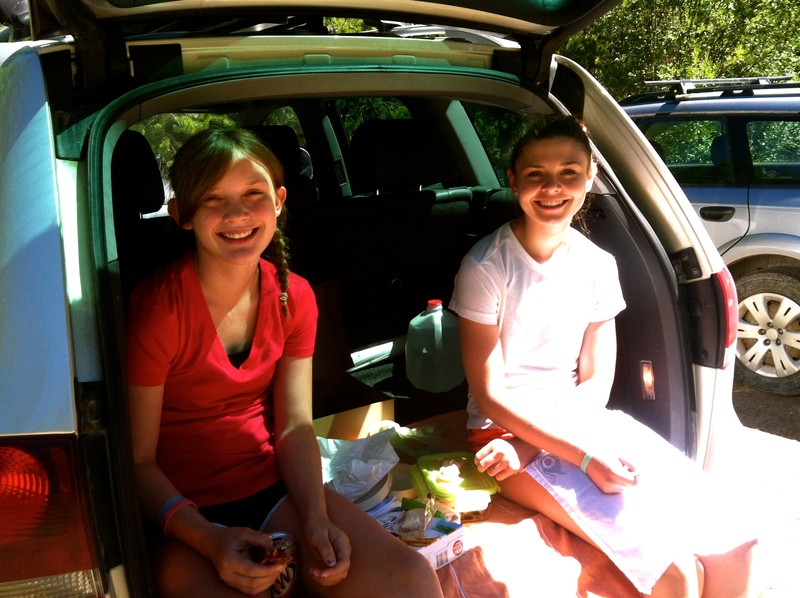 They never made it to the trailhead, nor should they have tried (in a new car!). I saw a little kid’s skinny arm hanging out the car window; way too young for this hike. See the car next to ours? We passed two young women on the hike, the only people we saw the entire day. I say- girls rock. 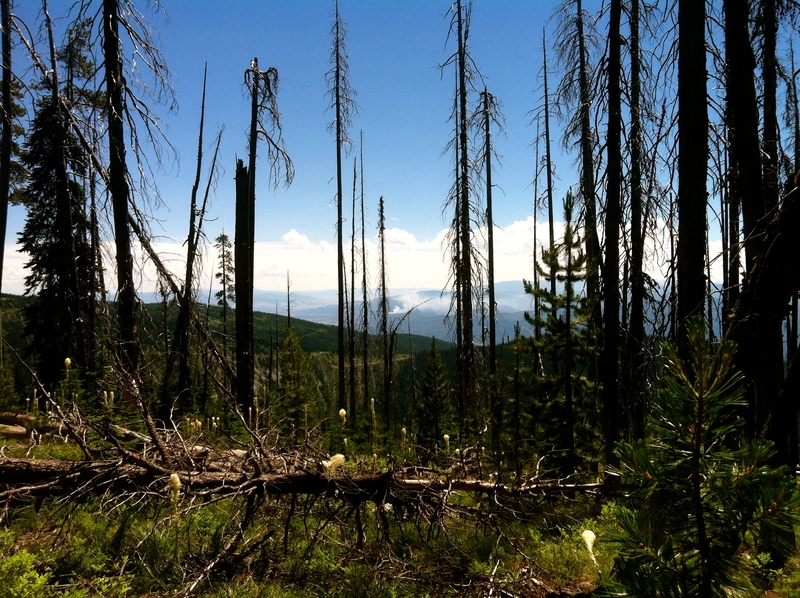 Total climb: Elevation: Starts at 5,698 feet. 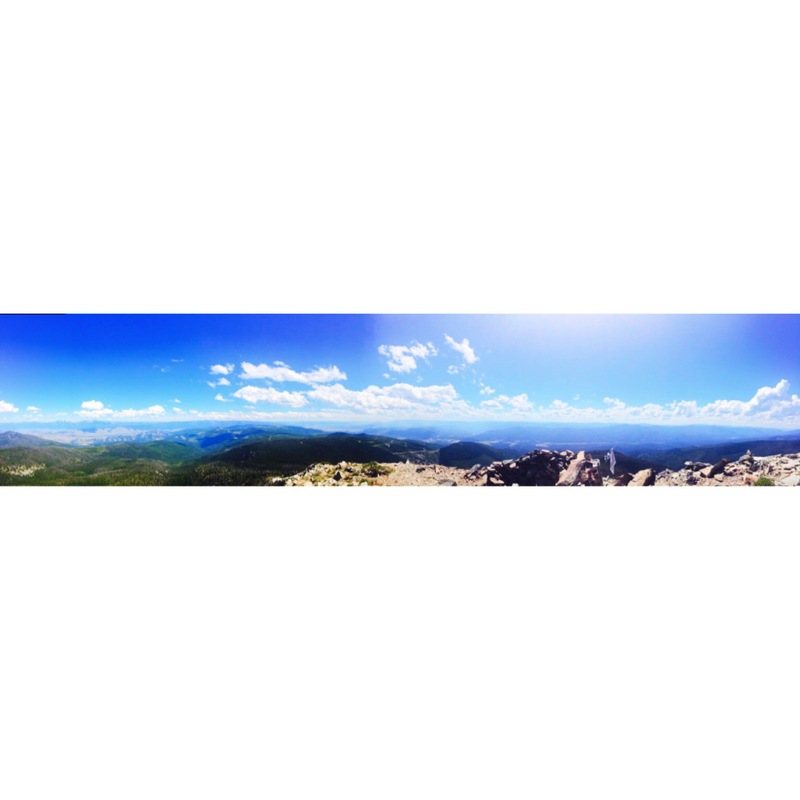 Ends at 7,994 feet. Distance: 2.8 miles one way. On our way, a tree fell 50 feet from the trail- a horrifying noise. 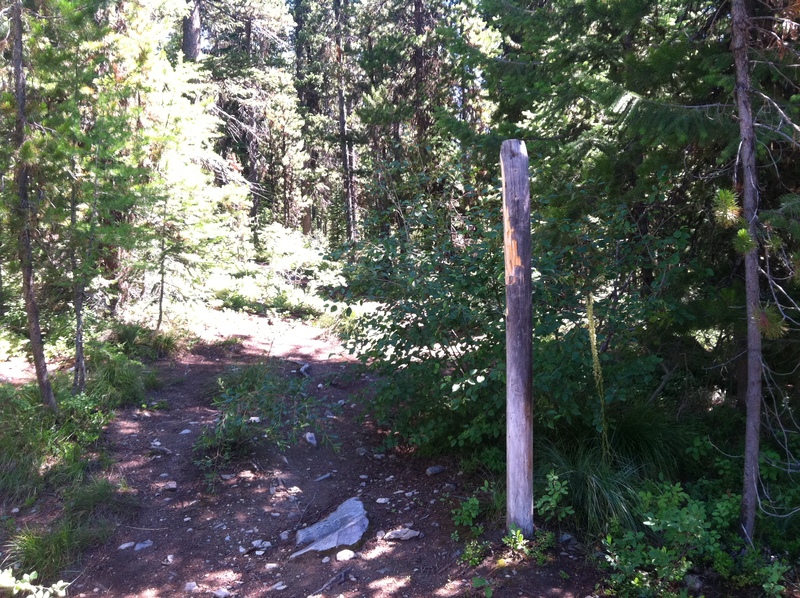 The Hike: A consistent ascent amid forested trail until you reach the talus slope at the top. Many, many fallen trees to cross. Scant huckleberries due to elevation. (Which means no bears. But I had bear spray just in case.) Amazing pine tree smell. 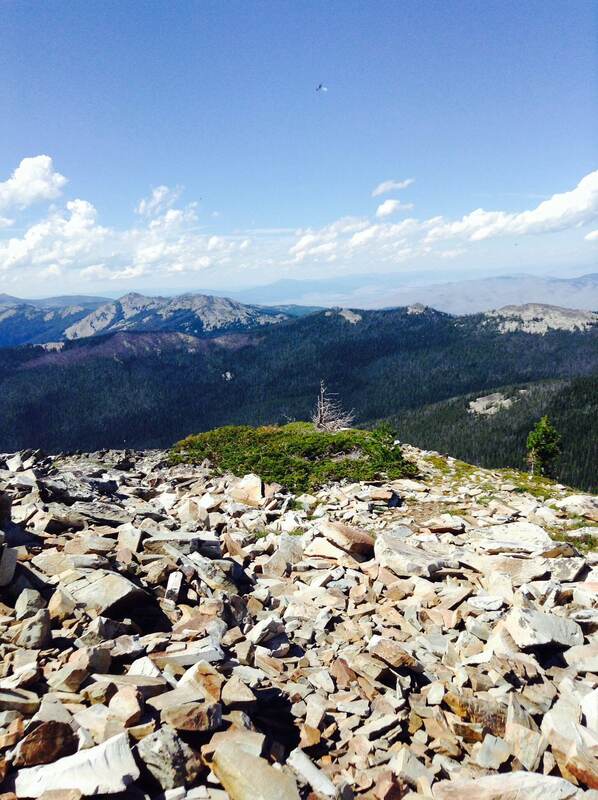 To reach the peak you need all fours-scrambling up rocks and boulders. We used Sophie’s red shirt as a beacon on a rock cairn to find our route back down. The pride that comes with accomplishing a feat like this is immeasurable. As a mom, I feel this is the best gift I can give my daughters. All in a summer’s day.